A wheelchair-friendly boardwalk and a multi-use trail allow birders to explore this productive LHWP tract once known as Flint Creek Park. Visitors will encounter a picturesque swamp and adjacent uplands which can be good for songbirds like Northern Parula, Prothonotary Warbler and Yellow-throated Vireo which breed here in summer. Take the boardwalk to the Hillsborough River/Flint Creek confluence and listen for Barred Owl, Red-shouldered Hawk and Belted Kingfisher, among others. Hikers, bikers and equestrians can also use the historic 7 mile Old Fort King Trail, which is paved for the first 2 miles (mind vehicular traffic at all road crossings) and connects with Hillsborough River State Park. 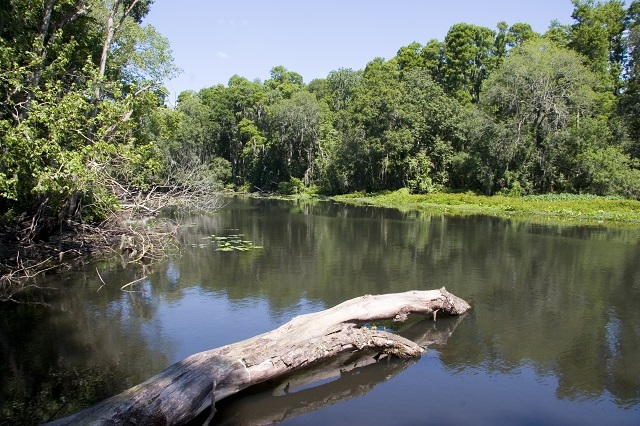 This site is also an access point for paddling Flint Creek, the Upper Hillsborough River and the Hillsborough River Canoe Trail. Be on the lookout for Anhinga, Little Blue Heron, Black-crowned Night-Heron, and Limpkin. From the launch site by the parking area, expect a 2-hour paddle downriver to Morris Bridge Park; Trout Creek Park is a 4 hour paddle downstream. There are numerous tree obstacles to negotiate upstream in the Seventeen Runs area, a primitive section of the water trail recommended for experienced paddlers only.